Course Website: Official Website - Visit Incline Village (Championship)'s official website by clicking on the link provided. 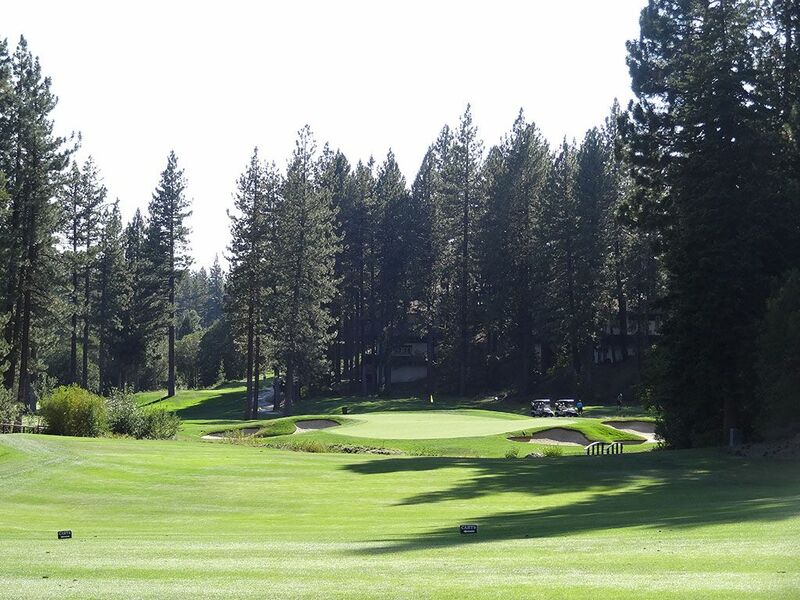 Accolades: Ranked 19th in Nevada on Golf Course Gurus's Best in State list. 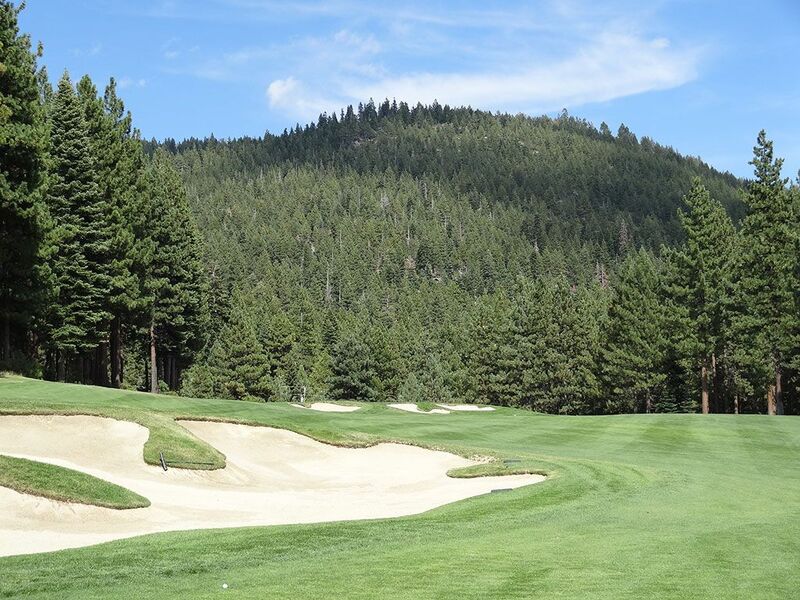 What to Expect: The Championship course at Incline Village is a mature layout Robert Trent Jones Sr. crafted in the '60s and subsequently received a complete renovation in 2003. The fairways are wider than most heavily tree lined courses of this age which is a welcome sight. 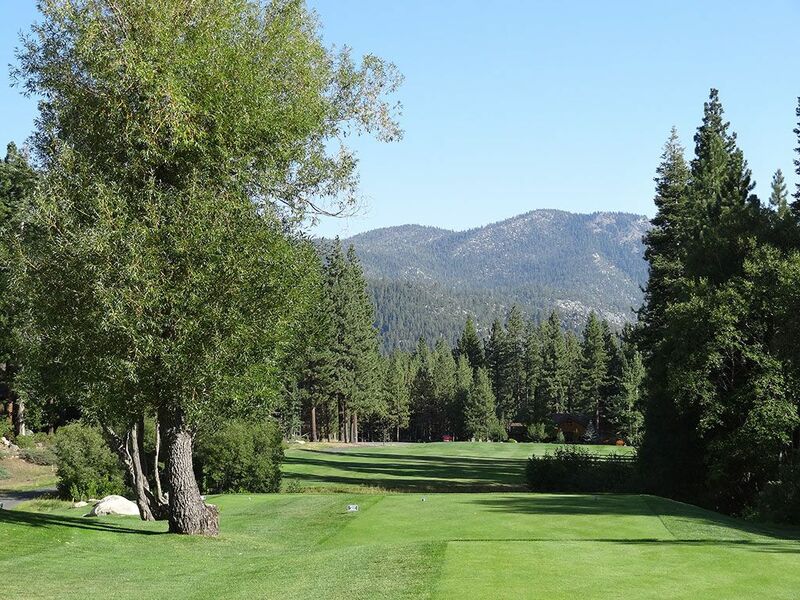 The front nine features more severe elevation changes and chances for uneven lies than the back and boasts some impressive views; none more stunning than the view of Lake Tahoe from the 7th tee. The back nine contends heavily with a creek that wanders through the property and often comes into play near the putting surfaces. 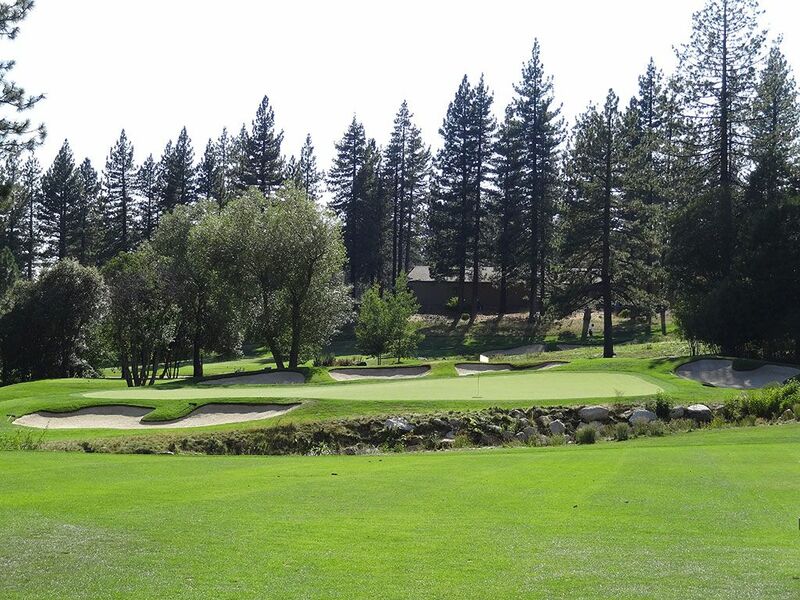 Most of the par 5s are reachable in two while the par 3s pose a more formidable challenge. Walking is a challenge on the front nine of the course but is a much smoother stroll on the back; particularly with a push cart. The course conditions are above average and the 36 hole facility plus driving range provide a great venue to spend the entire day. 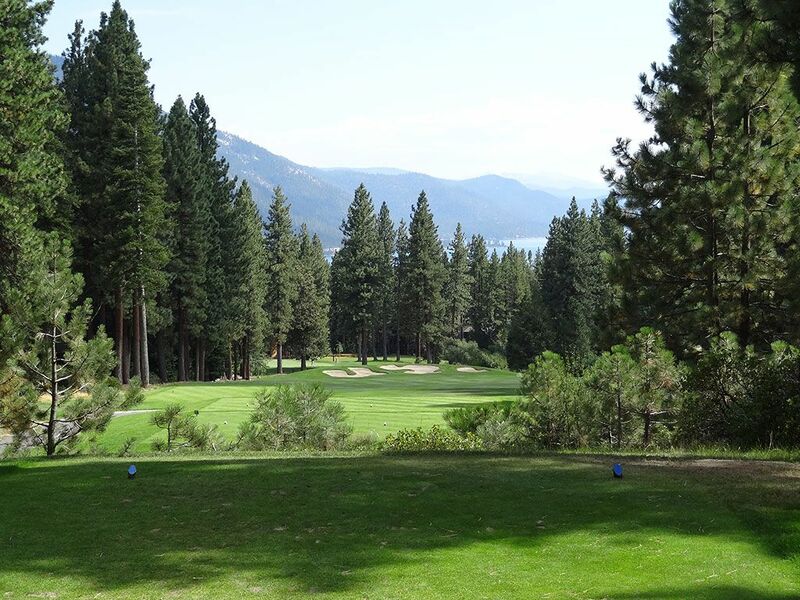 Signature Hole: 7th Hole – 407 Yard Par 4 – The best view on the course is afforded from the 7th tee where Lake Tahoe sparkles in the background while the surrounding mountains provide extra eye candy. 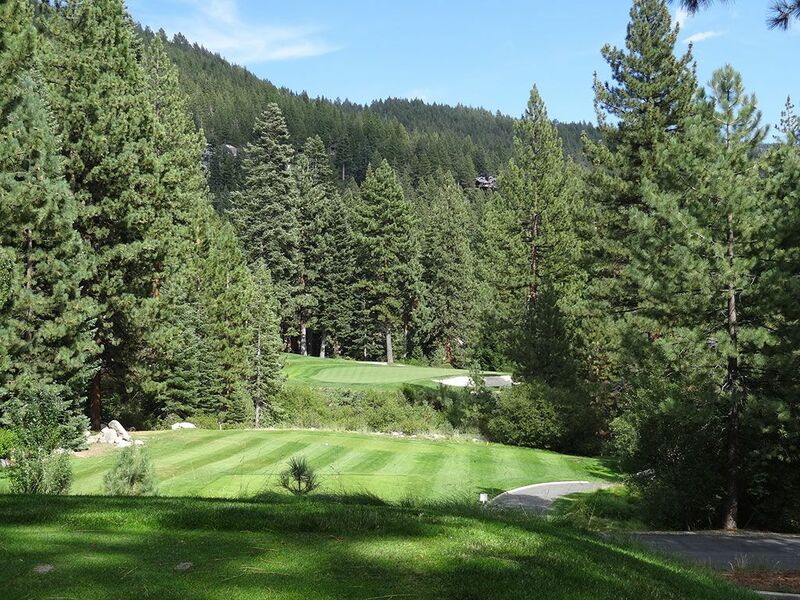 The tee shot plays well downhill which will offer an impressive amount of hang time when combined with Tahoe's high elevation. A creek cuts in front of the green which can cause havoc for long ballers trying to sneak a tee shot towards the putting surface. 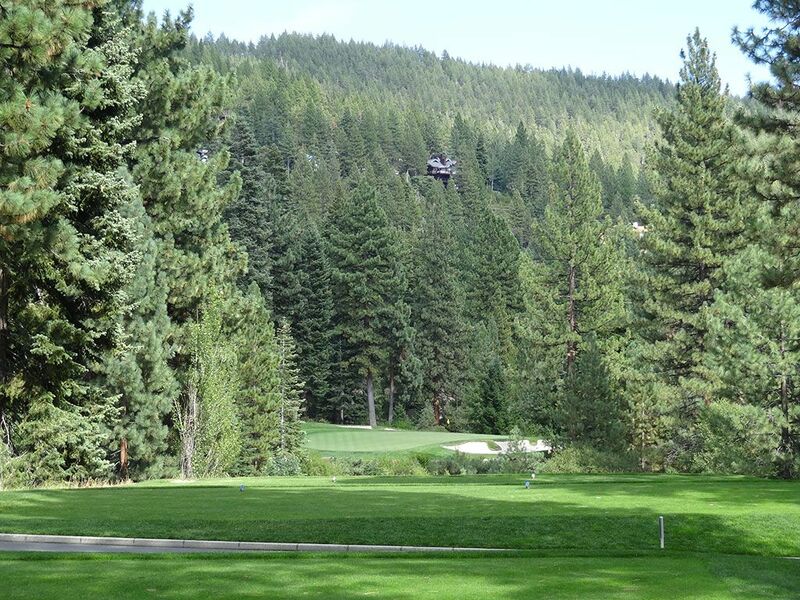 The tee shot on this hole is one of the iconic views in Tahoe. 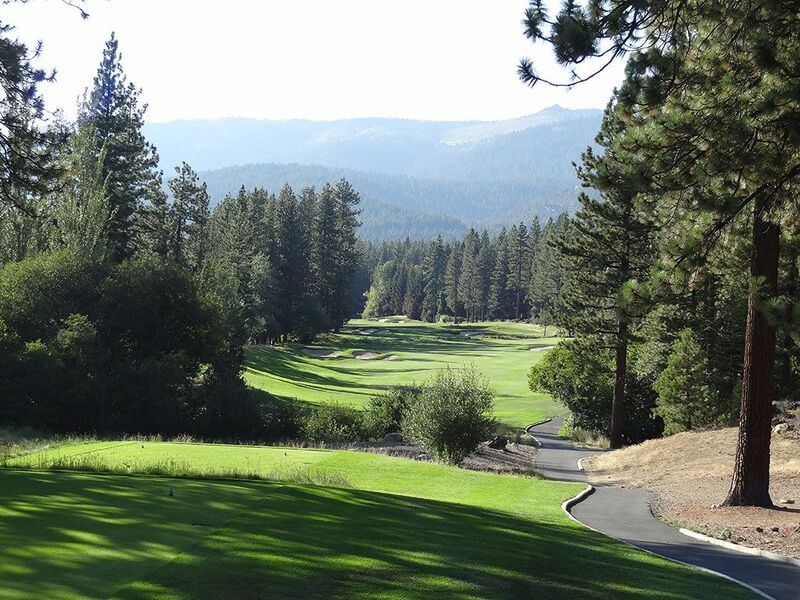 Best Par 3: 6th Hole – 203 Yards – This enjoyable one-shotter plays over a natural ravine to a green framed by a forest of pine trees. It is all carry to the green so players need to take plenty of club, especially if the tee shot leaks to the right towards the green side bunker. This hole represents one of the most exciting shots on the course. Best Par 4: 15th Hole – 437 Yards – With the tree covered mountains framing the background, the 15th offers an attractive tee shot to a fairway hosting a pair of bunkers. A hazard crosses the fairway and can be a factor for long ballers off the tee or present trouble on a second shot for players that skull it. 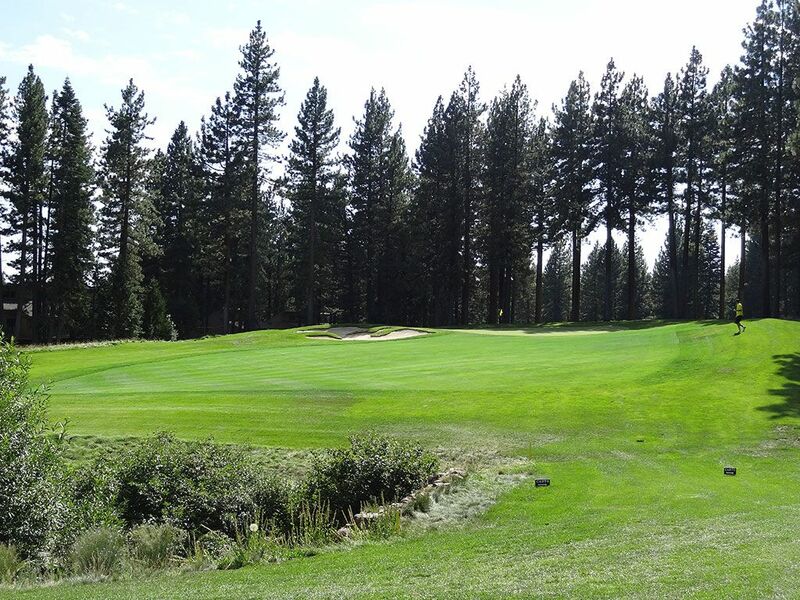 Best Par 5: 11th Hole – 494 Yards – Quite reachable in two, this dogleg right par five wisely runs a creek right in front of the green to make golfers pucker when going for it in two. A trio of bunkers rest behind the green which set up the dreaded sand shot back towards a water hazard that so many golfers fear. A well designed reachable par five should have an ability to cave golfers into a double bogey nearly as quickly as it yields a birdie and the 11th hole comes through on that line of reasoning. Birdie Time: 5th Hole – 509 Yard Par 5 – A straight forward reachable par five is what players are presented with on the 5th hole and they need to take advantage. Other than the trees lining both sides of the fairway, nothing stands in the way of you and a monster drive since the closest trouble is a bunker 300 yards up the left side. Players that keep it in the middle or right side of the fairway will have the prime angle for attacking this green which slopes left to right and begs you to utilize that terrain to avoid the greenside bunkers while going pinseeking. If you screw up your drive or are faced to layup, there is nearly 250 yards of open space from the fairway bunker to the next bunker short of the green to hit to. From there you can wedge it close and take roll in your putt to go one under on the hole. 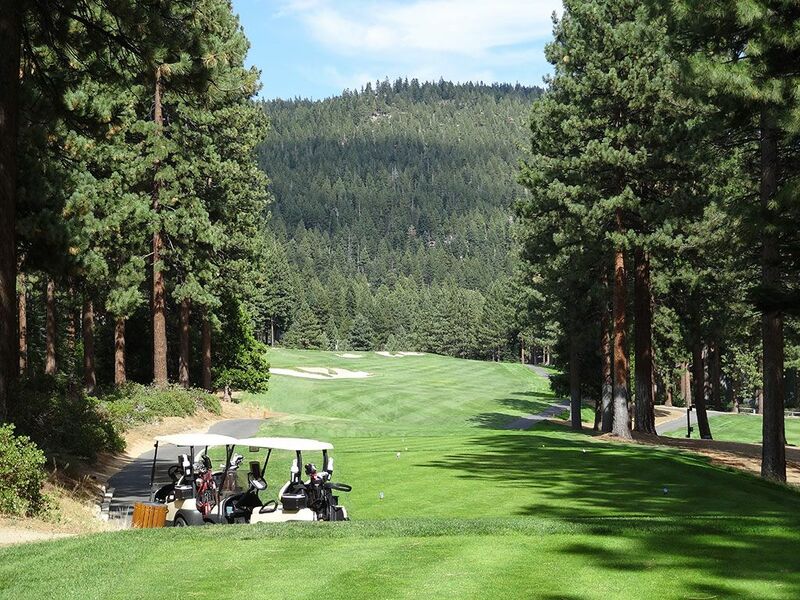 Bogey Beware: 12th Hole – 423 Yard Par 4 – Unconventional holes can cause you trouble from a lack of familiarity as much as anything and the 12th hole at Incline Village can certainly do that. This par four features a 90 degree dogleg right turn before the fairway takes off towards the green that is fronted by a creek. 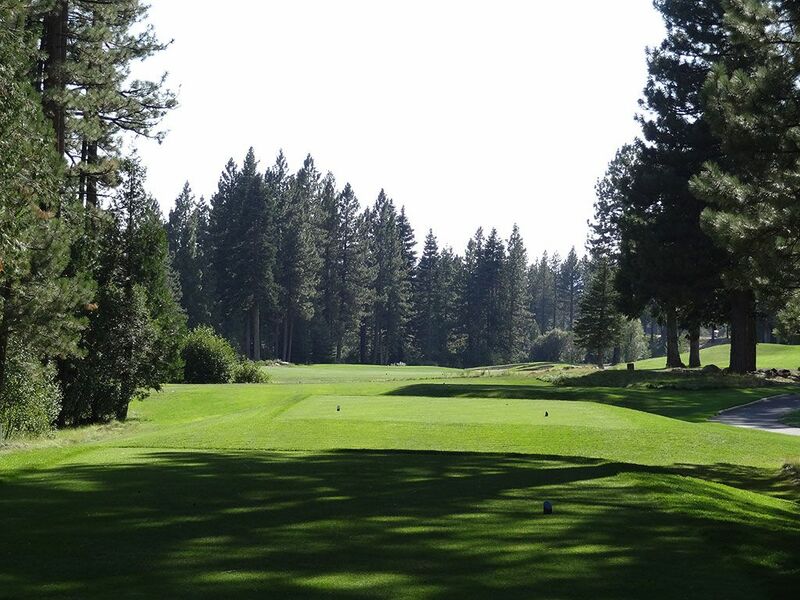 Hit your tee shot too far and youâ€™ll go through the dogleg into the rough; hit is short and the trees protecting the corner will block you out from a view of the green. Beyond needing a precise tee shot, players are faced with three bunkers around the green to contend with beyond the creek. Two great shots are required here right off the bat, otherwise a bogey is iminent.